Bespoke Website Design, because we are all unique! I offer bespoke websites all with personalised design, no pre-done templates so you know your site is one of a kind. 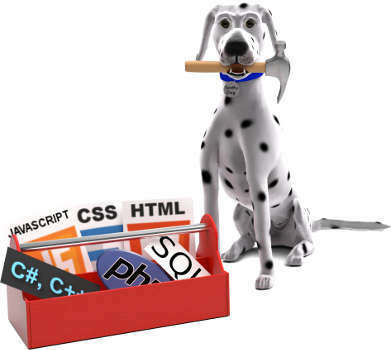 I design well laid out websites that are easy to navigate and to read. With appealing designs, as I believe websites do not have to be dull/sterile to be clear and legible. Because everyone's business is unique. I offer a few packages to help give you an idea of costs, please see below. If you wish to contact me with the specifics of your project, I will give you a competative quote. Whenever I create a wesbite design I ensure it looks and works great on all devices. Webstats - discuss options free or paid solution will affect end price. Email templates that match your website design, ensuring all aspects of your business look as professional. *Please note web hosting for the "Booking package" and "Web Shop" will cost more due to the requirement of a Secure site certificate (SSL). This is to ensure customer payments and details are secure when carrying out transactions on your website. To ensure your website is completely yours, I insist you setup and pay for domain and webhosting (where the site will be held). This is so you have full ownership and control. I will help you at every step with the purchase if required, so you do not buy something you do not need. I will try to help you understand what it is your buying and why it is required, so you are able to make your own informed and educated decisions. I do this so you have clear knowledge of the costs and so there is no issues over ownership. No hidden prices, so you do not overpay for webhosting each year. I offer both content managed websites (which you can update yourself) or non content managed which I will update for you at no extra cost (within reason, if your re-writing your whole site I will ask for a small fee). If you are interested in managing your own content on your site, perhaps one of my Training course's would benefit you more, see my Training section for more information. Not everyone wants to learn how to update their website spending hours making changes that take me 10 minutes to do. I also ensure you have all the access information at the end of the project so you can gain access yourselves or have someone else make amendments / updates. So should the worst happen and I'm no longer around to sort out the situation, your not stuck with a website you cannot access. Most hosting packages come with personalised email that matches your chosen domain (e.g. 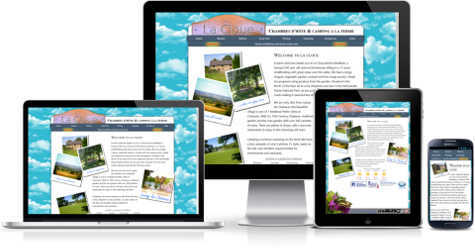 john.smith@mywebsite.com) to ensure your business looks as professional as your website. If you send a lot of emails, why not make yours stand out by having them match your web sites design. Giving your customer relations a more professional and finished look, ask me about customised email templates to find out more.